From choosing the right plant or turf grass for the right space, to the limited and proper use of lawn fertilizers and pesticides, the experts at Pro-Lawn-Plus can ensure your lawn care program works with the environment, and not against it. A healthy, well maintained lawn has many benefits. It’s not just about getting a green lawn. Properly timed and applied fertilizer actually protects the Chesapeake Bay by providing dense root mass that stops soil erosion and leaching of the fertilizer. A healthy lawn is an excellent sequester of carbon, provides noise and dust reduction and a safe playing area for kids. Did you know that a lawn area just 50-ft square absorbs carbon dioxide from the atmosphere, and releases enough oxygen for a family of four to breathe? Or that the grass and trees along the U.S. interstate highway system release enough oxygen to support 22 million people! That green patch of earth under your feet is not only beautiful, it’s environmentally beneficial. Scientific research has documented the many benefits of turfgrass to our environment. Today’s improved turfgrass varieties are very effective in reducing pollution. A thick healthy lawn traps and removes dust and dirt from the air. It also acts as a natural filter, reducing pollution by purifying the water passing through its root zone. The clean gentle strength of turfgrass is the most cost-effective method for controlling wind and water erosion. A thick, healthy Pro-Lawn-Plus lawn absorbs rainfall and prevents major run off. Another often overlooked benefit of a healthy lawn is its tremendous cooling effect! On a hot summer day, lawns will be 30 degrees cooler than asphalt and 14 degrees cooler than bare soil. The front lawns of eight houses have the cooling effect of about 70 tons of air conditioning. That’s amazing when the average home has an air conditioner with just a three or four ton capacity. The cooling effect of irrigated turf reduces the amount of fuel that must be burned to provide the electricity which powers air conditioners. A well maintained lawn can also enhance the “curb appeal” of your home, adding as much as 15% to the value, while providing a natural and safe setting for fun and games. The soft resilient surface of turfgrass is the safest and least expensive place to play. From backyard games to the NFL, athletes of all sizes prefer the green cushion of turfgrass. A healthy, thick lawn quietly adds to the beauty of our lives and even our mental and physical health. As you can see, the satisfaction of creating a beautiful lawn can be rewarding for you and the environment. After a long, cold winter we are looking forward to getting started on spring treatments next week. Time to start thinking about spring lawn care! ProLawnPlus provides expert lawn care services including lawn fertilizer, lawn weed control, crabgrass control, flea and tick control, aeration and seeding. For more than 35 years we have served Baltimore City, Baltimore County, Carroll County, Harford County and Howard County in Maryland. This local “flavor” allows us to get to know you and your lawn so we can customize your treatments as needed. Want us to call a day before we come out? We can do that. Do you want an Organic Lawn treatment? We can do that. We’re your neighbor, so we want what’s right for you. Our environmentally friendly lawn care programs will help you get a thicker, healthier lawn. ProLawn Plus’s Exclusive Five Treatment Lawn Care Program will leave you with the best looking lawn on the block! Add to that our tree and shrub care and perimeter pest control services and you have the best lawn care and landscape service in the area. We take pride in providing you with the best looking lawn and best customer service possible. We also have numerous lawn care videos and educational documents on grasses, weeds and lawns available to help you understand how to care for your lawn. It may not be as fun as it use to be to rake leaves in your lawn. But it is necessary to get the leaves off your lawn as soon as possible. If you wait until all the trees in your yard are bare, it could be too late. 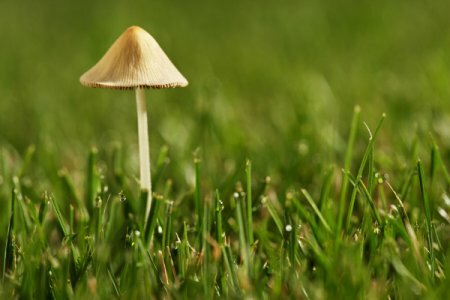 The leaves will become wet from rain and morning dew, stick together, and form an impenetrable mat that will suffocate the grass below and possibly breed fungal diseases. An alternative to raking leaves is to use a lawnmower fitted with a collection bag or vacuum system. Regardless of whether you use a rake or a lawnmower, just be sure to remove the leaves before they turn into a soggy, suffocating mess. Another alternative is to mulch the leaves into the lawn. If you’ve got a large yard and you use a riding lawn mower, try leaf mulching. When the leaves are dry, drive over them with your lawn mower. The mower chops them up and returns the smaller leaf pieces to the lawn. Leaf mulching with a mower doesn’t negatively affect turf performance, and it is a time-efficient way to get rid of those leaves, which can damage your lawn. Maintaining a leaf-free yard this fall can help assure a healthy lawn come spring. It may seem like a thankless task, the leaves just continue to fall, littering your lawn with more leaves. But come Spring, your lawn will be thanking you! Taking care of your lawn doesn’t stop when the weather cools and the leaves begin to change color. Fall is an important time for turf to “heal” after a stressful summer, especially if it has been worn down by traffic or suffered from disease or insect problems. Not only can you repair summer damage to the lawn in the fall and over the winter, but you can also improve the turf so it will be healthier in the spring. Here are some fall tips to improve the health of your lawn. Lawn watering is often stopped in early fall. Conventional thinking is that because evapotranspiration (ET) rates are low and the turf isn’t growing much, it is OK to stop watering. While mowing isn’t needed as frequently during fall, the turf DOES continue to grow – but in ways that differ from spring and summer. Turfgrasses form tillers (side shoots) and rhizomes that increase the density of fall turf. Fall watering is essential for late season nitrogen applications to work most effectively. Fertilizer applied to dry turf is less likely to enhance fall rooting and increase energy storage. It may not be fun but it is necessary to rake leaves from your lawn as soon as possible. If you wait until all the trees in your yard are bare, it may be too late. The leaves will become wet from rain and morning dew, stick together, and form an impenetrable mat that if left unmoved will suffocate the grass and breed fungal diseases. An alternative to raking leaves is to use a lawnmower fitted with a collection bag or vacuum system. These methods are particularly effective if you have a very large yard with many deciduous trees. Regardless of whether you use a rake or a lawnmower, just be sure to remove the leaves before they turn into a soggy, suffocating mess. According to turfgrass scientists, the best time to fertilize lawns in Maryland is the fall. This is the time of the year when the grass recovers from summer heat and drought stress. Fertilizer applied from late August through early October promotes increased density of the turf without promoting excess shoot growth. Late fall fertilization from mid-October through early December promotes increased root growth. It also increases carbohydrate storage for the grass to survive the winter and prepare for the following spring’s new growth. Fall is also the best time of year to control perennial broadleaf weeds – dandelion, clover, plantain, and thistle, to name a few. Fall herbicide applications are more effective when applied to healthy, green, actively growing weeds. The herbicide is more easily absorbed and translocated to weed roots resulting in better control. In most home lawns, fertile topsoil may have been removed or buried during excavation of the basement or footings, forcing grass to grow in subsoil that is more compact, higher in clay content, and less likely to sustain a healthy lawn. Aeration can help relieve soil compaction and increase the air circulation needed to help your grass to grow deeper roots and make more efficient use of water and fertilizer. Contact Pro-Lawn Plus today to get your FREE no obligation estimate. Let us help your lawn get the start it needs today, to be the lawn you’ve always wanted tomorrow. Pro-Lawn Plus is a local lawn care company. We provide lawn care as well as tree and shrub services for Maryland residents in Baltimore, Baltimore City, Baltimore County, Howard County, in addition to portions of Harford County and Carroll Counties. 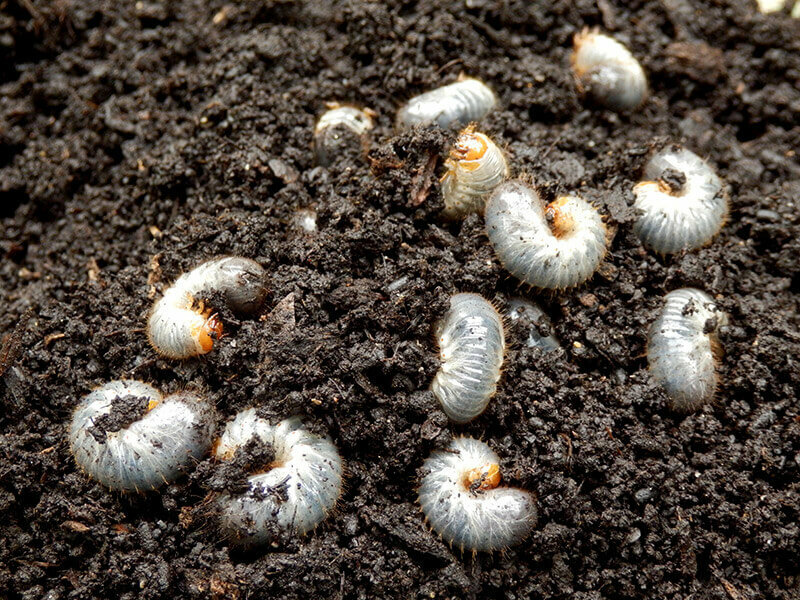 Grubs can cause severe damage to turfgrass in Maryland. They are the larvae of several species of beetles but the most common here in Maryland is the Japanese Beetle grub. Their life cycle takes one year to complete. The beetles emerge from the soil in late June/early July and feed on trees and shrubs. During July and into early August, they mate and lay eggs in the soil. The eggs hatch in August and begin feeding on turfgrass roots, especially when there is adequate soil moisture. 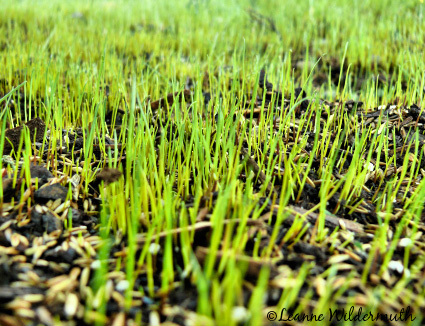 If you are frustrated with a thin and bare lawn, you should consider late-season lawn seeding! Late summer is the ideal time to decide if your lawn needs seeding work for the upcoming year. Careful advanced planning and follow-up of lawn seeding can determine the success or failure of your lawn seeding. We have a limited time window to do proper seeding. Current customers, contact Pro-Lawn Plus NOW to ensure we can schedule you this year. If you’re not yet a customer, now is a great time to start service and prepare your lawn for next year. • Thin Lawns: Can you see the soil or thatch layer when you look down at your grass? Lawn thinness permits weeds to easily grow in the lawn and causes the grass to dry out much faster. Thin lawns need lawn seeding to grow and be healthy. • Heavy Thatch: The thatch layer can become so heavy that the primary root system is growing more in the thatch than in the soil below. Shallow, thatch-rooted lawns are much more susceptible to drought damage. • Poor Turf Variety: Do you want to develop a more disease-,insect-, or drought-tolerant lawn? Pro Lawn Plus’s lawn seeding experts can help. There are grass varieties that bugs, diseases, and hot weather don’t bother as much as others. • Grass seed planted late in the season has two good growing periods (fall and spring) to “harden off” before going through the drought and heat stress often associated with summer weather. • In the fall, most fast-growing weeds like crabgrass weeds won’t be sprouting and choking out the new grass turf’s slower-growing permanent grass. • Soil temperatures are higher in the late summer, making it ideal for lawn growing. The increased soil warmth results in faster germination of the lawn seeds. • Late-summer lawn seeding need not disturb the proper timing of weed control as spring seeding almost always does. • Aeration plus Overseeding: The big advantage of this lawn seeding method is that aeration opens the soil and provides a better germinating area for the new turf by improving seed-to-soil contact. • Slice-Seeding (also known as Verti-Cut Seeding): For badly damaged or very thin and thatchy lawns, this lawn growing technique is an excellent way to get your lawn back on the road to health and beauty. This lawn seeding method actually plants the grass seed into the soil while helping to destroy thatch. This is accomplished with slicing blades that cut through thatch and create furrows in the soil. Small tubes drop the lawn seed into these soil furrows, and rollers close the soil back over the seed. • Water, water, water! Frequent and light watering is ideal until the lawn seed sprouts. After this occurs, you may give your grass longer soakings. • It is okay to mow when the grass reaches a reasonable height. • It takes a few years to fully establish a healthy lawn. Give your new lawn seeding extra care throughout the whole first season.